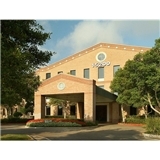 Lorelei Capocyan MD FACOG (Sugarland) - Book Appointment Online! Welcome to our practice! We are conveniently located in the heart of Sugar Land, Texas catering to the females of Fort Bend, Houston and neighboring cities Our office address is 15200 Southwest Freeway, Suite 200, Sugar Land Texas 77478. This is located at the corner of the Southwest Freeway and Sugar Lakes Blvd. We have modern equipments and a comprehensive electronic health records system. I had a quick and pleasant experience at Dr. Capocyan's office this morning!